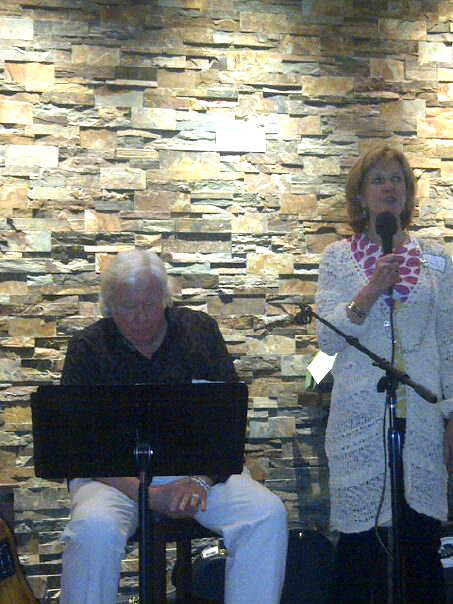 (Community Matters) Sandi & Bob Tomlinson hosted friends Saturday night and Dan Bullock (accompanied by Annette Carlozzi for one song) performed. Have to admit – I had no idea Dan was so good. He is. What a spectacular evening – great friends, Meg Schwartz (Spoon & Co) food and engaging conversations all over the room.